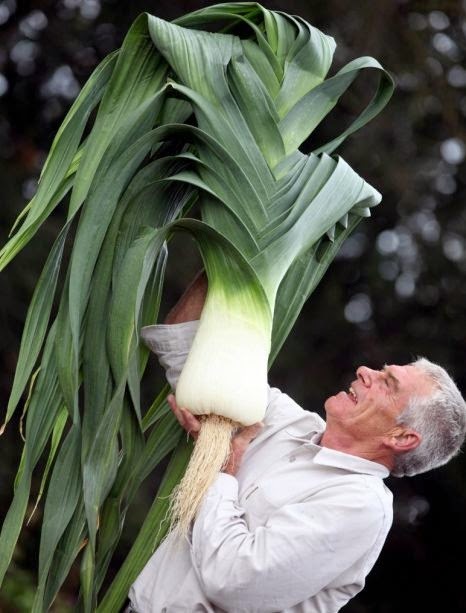 Growing giant competitive leeks is serious business and the secrets to attaining the very largest sizes are always kept very close to the chest. However Joe Jones, perhaps the greatest pot leek grower of all time, has allowed a glimpse into his world, and now anyone with a genuine passion can achieve impressive results.While many other growers would start far earlier, Joe Jones would religiously sow his pot leek seed under the protection of a greenhouse around Christmas time using propagation benches fitted with under-soil heating set at about 12 degrees Celsius - do not be tempted by using higher temperatures. Competitive growers will also use supplementary lighting up until the end of February for approximately 10 hours of light from 7 am to 5 pm. One seed was sown in a 3 inch plastic pots using John Innes 'No 1' compost. and buried in the heated bed to the same soil line. 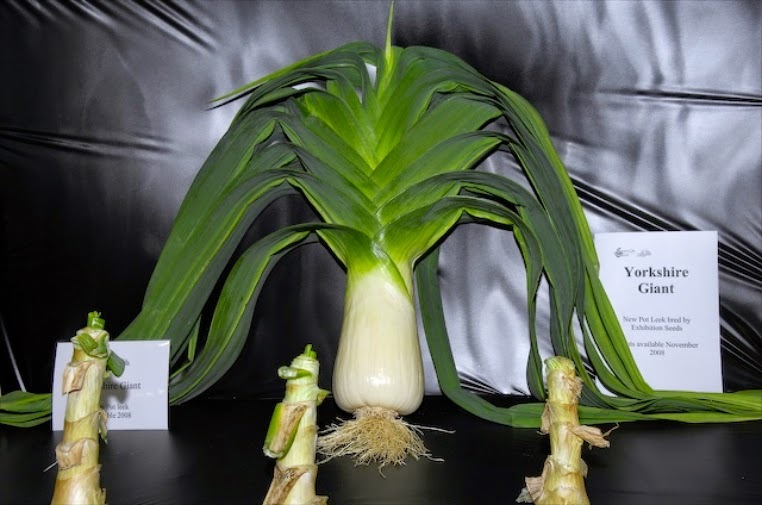 As each month passed each leek would be potted on into another pot but one which was only 1 inch or so larger and placed back into the propagation bed. On the third potting on, change compost to John Innes 'No 2'. On the fifth potting change the compost to John Innes 'No 3'. Once the threat of late frosts have passed the under-soil heating can be turned off. Come early June they would come out of the plastic pots and potted on into a 10 inch terracotta pots, the last pot size before planting outside into raised beds. Be aware that each year these beds will need to be emptied of old compost and then re-filled with a new mix. Joe Jones would use old railway sleepers to make a raised bed approximately 3 ft high and about 4 ft wide. Sterilise the ground below the raised bed and the inside of the timbers before filling. Over the winter the raised bed will need to be filled in layers, the first being an inch of sterilized soil followed by an inch of 'as-old-as-you-can-get' well-rotted farmyard manure. Joe would use manure that was at least 5 years old, but this isn't really necessary. The layering of compost and manure is repeated to near the top of the bed. Sprinkle bone meal and old locomotive clinker between each layer. Consider using horticultural grit, hortag (expanded clay), perlite, or vermiculite if clinker isn't available. The final height of the compost will need to be 10 inches from the top of the bed so that fresh dry soil can be added to the top to bleach the bottoms of the leeks. Once in the beds avoid the temptation to feed with a liquid fertilizer as this can cause unwanted height, however controlled release fertilizers such as osmocote have proven to give good results. The rest is up to you.